Chancellor Angela Merkel's Cabinet agreed upon a series of measures Wednesday that includes upgrades for older vehicles affected by the diesel scandal , preventing them from being subjected to diesel driving bans in cities such as Hamburg, Berlin, Stuttgart and Frankfurt. "It's not acceptable that that the auto industry is paying a lot of money in America , but makes a huge fuss over a few hundred euros (dollars) here," Merkel said at an election rally in the state of Hesse late Tuesday, calling on car makers to stop penny-pinching when it comes to fixing the cars they sold to consumers with misleading emissions claims. 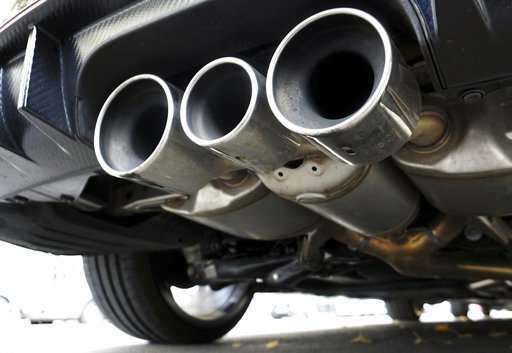 The German transport ministry has said it believes about 2.2 million vehicles need upgrades. Merkel's unusually harsh words toward Germany's powerful auto industry came the day before a court in nearby Mainz considered whether a ban on diesel-powered cars is permissible to prevent air pollution in the city. Diesel vehicles are a significant source of nitrogen oxides, or NOx, which can be harmful to human health. The Mainz administrative court decided Wednesday that the city would have to prepare to implement a ban on older diesel vehicles by Sept. 1, 2019, if NOx levels cannot be reduced by then. The newly announced measures by Merkel's Cabinet will apply to 15 German cities that significantly exceed the European Union's limit of 40 micrograms of NOx per cubic meter. Another 50 cities in the country are just above the EU threshold. Merkel's party and her coalition allies, the Social Democrats, are projected to face steep losses in the Hesse state election on Sunday, while the environmentalist Green party has seen a surge in opinion polls in recent weeks. Ferdinand Dudenhoeffer, one of Germany's best-known auto industry analysts, called the government's new measures "a transparent election campaign maneuver for the Hesse vote." 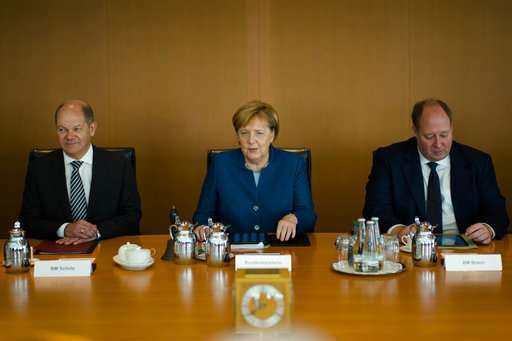 He told the daily Rheinische Post that Merkel had known about the problem of excessively high NOx emissions since 2010, but refrained from doing anything about it. The government announced its measures on the same day a court in Stuttgart, Germany, ruled Volkswagen's parent company, Porsche SE, must pay investors 47 million euros for not making timely disclosure of its 2015 diesel emissions scandal, in which Volkswagen rigged cars to cheat on diesel emissions tests. Porsche SE said it would appeal and that the claims were "without merit." The Volkswagen scandal led to closer scrutiny of diesels in general, which were found to often emit more pollutants in regular driving than in testing because automakers exploited loopholes allowing them to turn off emissions controls to avoid engine damage in certain circumstances. Testing procedures were tightened as of Sept. 1 to more closely reflect real-life emissions.